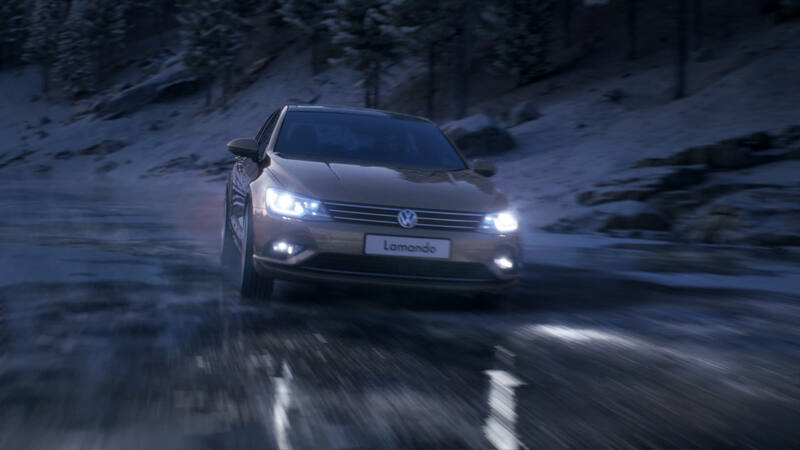 One presentation movie and lots of great responses later, Storz & Escherich is back at work for Mili Films Shanghai and its TVC for the brandnew Volkswagen Lamando. 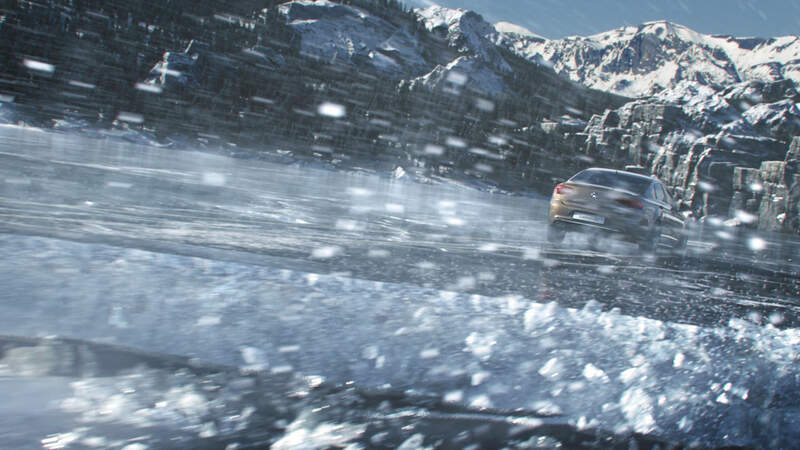 As time is always a scarce ressource, we had about 6 weeks to create all 86 VFX shots for the commercial. 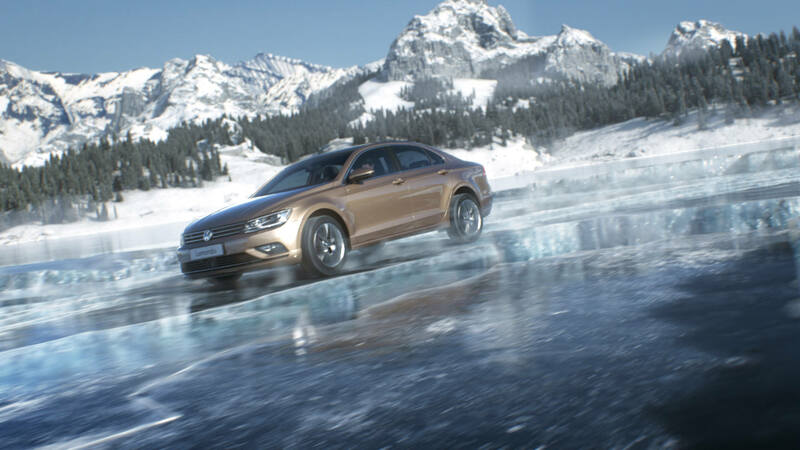 Just like the presentation movie, the TVC was directed by Specter Berlin and produced by Mili Films Shanghai, with whom it has been a pleasure to work with again. 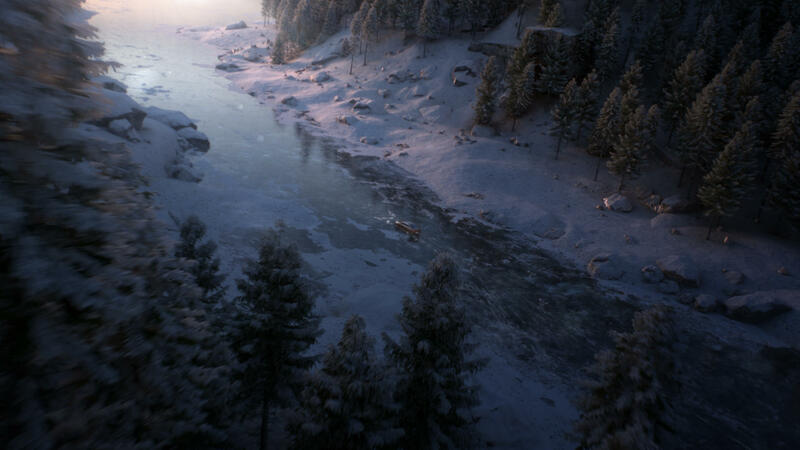 We kept the golden cube as a distinctive feature, but roughened up the full CG landscape by transforming the setting onto a frozen icelake surrounded by snowy mountains. 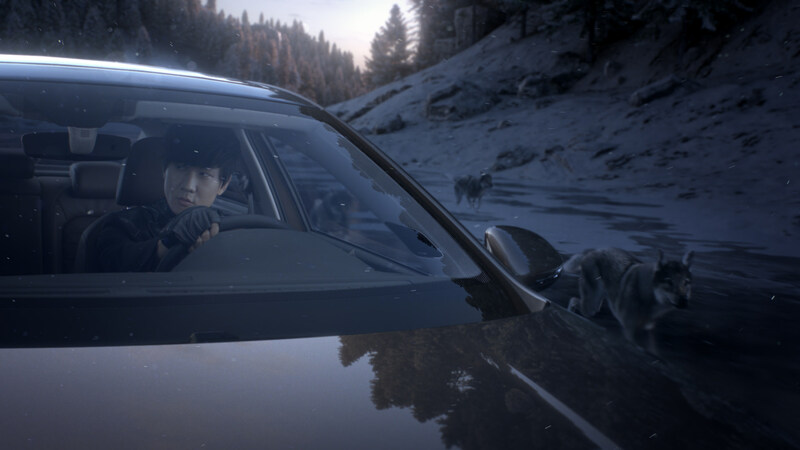 And this time, the Lamando has a companion: singaporean superstar JJ Lin, one of China’s and Taiwan’s biggest Mandopop sensations comes along for the thrilling ride over breaking ice, just to find himself secured in his sportive coupé – and eye to eye with a pack of wolves. 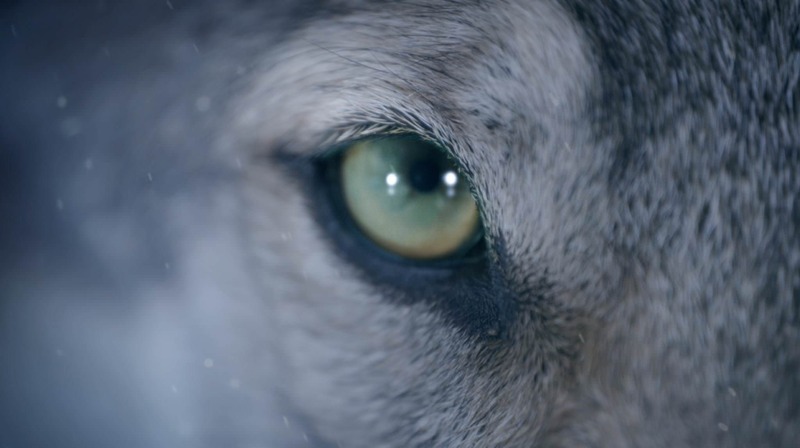 Those were created and animated based on bravely filmed footage of real wolves. 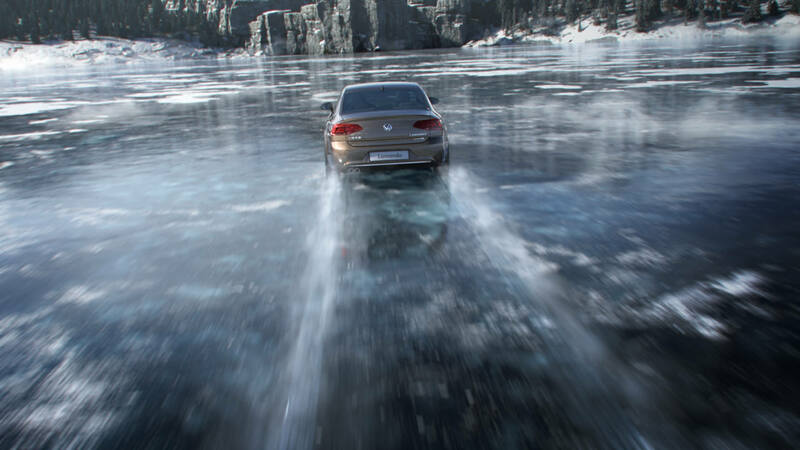 We are sure to see the VW Lamando capturing the chinese market and beyond.